To say that Robert Glasper is simply a jazz pianist would be misleading. The young Blue Note Records signee is equally invested in the worlds of hip-hop and R&B, and has been turning heads all over the musical spectrum with his lush, expansive sound. In February, he released the ambitious, genre-hopping album “Black Radio,” which featured Yasiin Bey (another stage name of Mos Def), Lupe Fiasco, and Erykah Badu, among others. The widely acclaimed record landed him on the Billboard charts and the late-night TV circuit and firmly established him as a leading figure of jazz experimentation today. Glasper came to Harvard Wednesday for a talk presented by the Hiphop Archive and the Office for the Arts at Harvard’s Learning From Performers program. 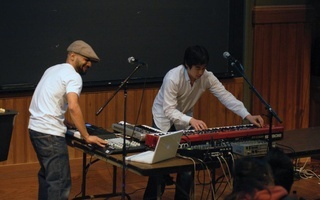 He discussed musical processes and influences with hip-hop producer and Hiphop Archive fellow 9th Wonder, gave a master class to a Harvard jazz trio, and then took over the piano himself. The Harvard Crimson: You have talked about how important church was in your early childhood. How did church shape your sound? 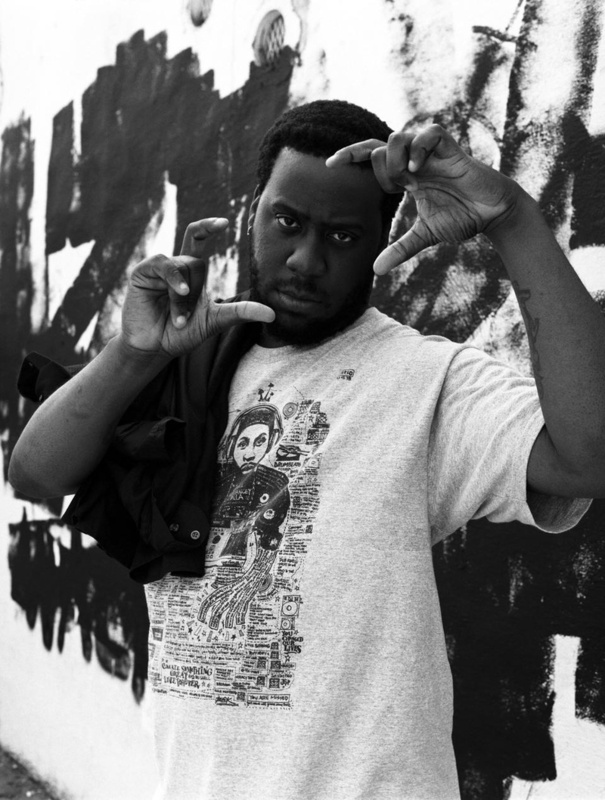 Robert Glasper: Church was my first performance. I pretty much played in front of an audience every Sunday. I would be playing behind the preacher and playing stuff to keep the preacher revved up. So you play from the heart, you play for the feeling. I think that’s where I get that part of my sound from. THC: In a 2012 interview with Downbeat, you said, “I’ve gotten bored with jazz to the point where I wouldn’t mind something bad happening.” Do you think jazz has a shelf life? RG: Yes. People tend to look at jazz like it’s dead. 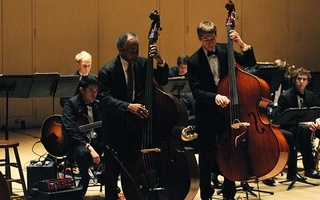 Even in schools, when they teach jazz, it’s “jazz history.” The way to stay current is to play songs that have something to do with you and your life story. I’m not doing anything futuristic. A lot of people say, “You’re the future!” But jazz is so far behind that the present seems like the future. I’m just playing the present. I’m not ignoring what actually inspires me. THC: How did the concept for your collaborative “Black Radio” album come about? RG: When I first got signed to Blue Note Records in 2005, I was already playing with Mos Def and doing stuff with Common and Q-Tip. I knew I wanted to do a project like this, but I wanted to get the respect of a jazz pianist first. When you’re young and African-American and play piano, many people are very quick to overlook actual skills and put you in the hip-hop category. So it was very important to me to put out three records that are actual jazz albums. From those records, you can’t deny my skill on the piano. The jazz community is very snobby, but they can only be so snobby to me. They can just check out the early records. The tradition is there. THC: What was the recording process of “Black Radio” like? RG: Originally, “Black Radio” was only going to have five guests. As I kept going, some of my friends would call and be like, “You’re doing a record? I want to be on it!” I was like, let’s just go all in, do 11 guests. It kind of snowballed. Some of the songs were sketched out. On others, we had literally no idea what the artist was going to do. Everything was last minute because of the scheduling. Lupe Fiasco came into the studio, and I had no idea what he was going to do, and he didn’t either. People just came, and we just felt it out, talked about ideas. It was very organic, very off the cuff. THC: Of all of your collaborations with hip-hop and jazz artists, is there a memorable moment that stands out? THC: You have received enormous acclaim, and R. Kelly came to one of your shows and talked about how unique your sound was. How do you stay humble and motivated? RG: Oh, that’s easy. It’s a gift and can be taken away from you any time. It’s just music, and life doesn’t get old. My mom passed away pretty dramatically out of nowhere recently, so I have a different outlook on life. I know it’s not something you take for granted. —Staff writer Andrew R. Chow can be reached at andrewchow@college.harvard.edu. Celebrity jazz concerts are often dreary affairs—museums of dusty music where real jazz goes to die.